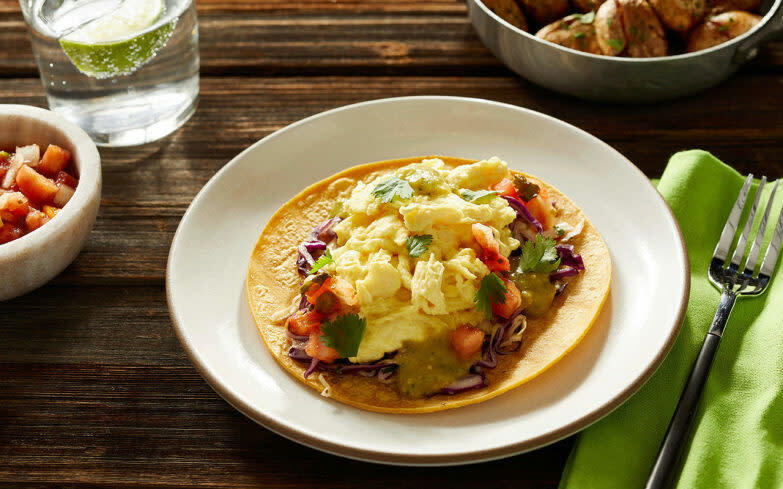 Beyond Meat, Impossible Foods, JUST and Terramino Foods: these four US food- industry disrupters are changing the way in which the world views meat and animal products by making exceptional meat-, fish- and egg-like items that are completely vegan. And we’re not talking about the run-of-the-mill veggie burgers that have been kicking around since the early 80s. 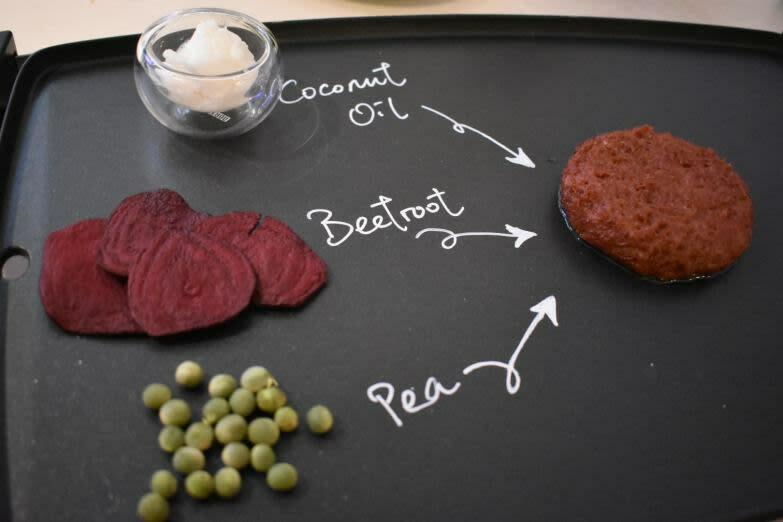 Beyond Meat produced the world’s first “plant-based burger”, created from a pea protein. In the case of Impossible Foods, they use a soy protein to make a meat-like product that tastes like beef and even “bleeds” like it, while JUST became famous for its vegan mayo, then went on to develop a scrambled egg made from mung beans that has even impressed the non-vegan community. Terramino Foods are using fungi, algae and a whole lot of scientific research to replicate salmon. They are currently in the beta stage, with plans to roll out in the US this year while also exploring options in China. This seafood alternative is of particular interest here in Asia considering the current environmental disasters facing the fish in our oceans. Interestingly, these four companies have all chosen Hong Kong to gently launch their products into Asia, with rapid expansion plans for China. 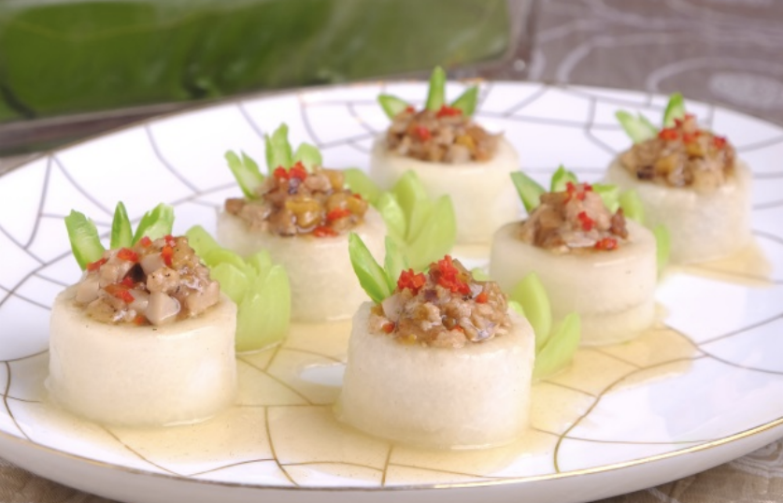 This may be prompted by China’s new dietary guidelines, where the newest version of the food pagoda – China’s take on the food pyramid – released in 2016 recommends cutting individual meat consumption by 50 per cent. The average person currently consumes 63kg of meat per person per year, and the new recommendations would take this down to 27.5kg. While no small feat, a successful reduction in the Chinese population’s daily meat intake could mean greenhouse gases produced from the livestock industry in China would be reduced by one billion tonnes by 2030. Less than 30 years ago, meat was considered a luxury item amongst the general public in China, with the average Chinese person eating 20kg of meat per year, but economic changes within the country have rapidly led to increased accessibility to meat. China now consumes half the world’s pork and 28 per cent of its overall meat. This is driving worrying obesity and diabetes epidemics. The updated dietary recommendations set a strong course by the government to curb the country’s mushrooming appetite for meat. 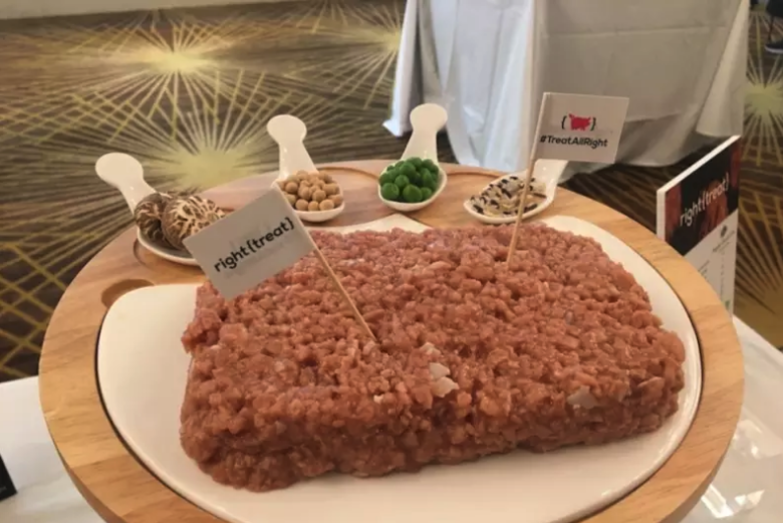 Omnipork, made by Right Treat, is a Hong Kong-based producer of a plant-based meat that mimics pork, created from a blend of plant-based proteins including peas, non-GMO soy, shiitake mushrooms and rice. The company is already making waves in the region, and Omnipork is being served by a handful of high-end restaurants in the city. 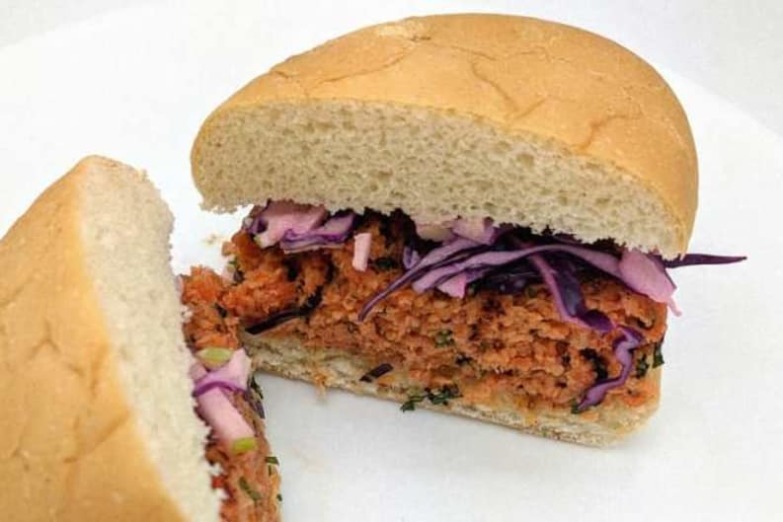 The product has received rave reviews for its health benefits (tested to be 71 per cent lower in saturated fats and 62 per cent lower in calories than real pork, with higher amounts of fibre, calcium and iron), environmental considerations and taste, from both vegetarians and meat eaters alike. With meatless burgers that look and taste like beef, plant-based pork that’s better for you and tastes like the real deal, a revolutionary product that produces springy omelettes without the eggs and the future possibility of an algae-based fish alternative, could the future of the food industry truly reform to a plant-based reality in the next few years? And could China be the leader in adopting the faux-meat phenomenon? The aggressive expansion by these four game-changing companies in the US certainly suggests so.